Prof. Lei received his doctoral degree (Dr. Tech.) from Vienna University of Technology. He is currently the Deputy Dean of School of Architecture, Xiamen University, China. Dr. Yongbo Peng is currently an Associate Professor at Tongji University. He received a Ph.D. from Tongji University in 2009 after completing a two-year joint Ph.D. program in University of Southern California. His research interests involve in structural control and stochastic dynamics. Dr. Zhonghua Liu is an associate professor in the department of civil engineering of Xiamen University. He obtained his Doctor Degree from the Zhejiang University in the year of 2005. 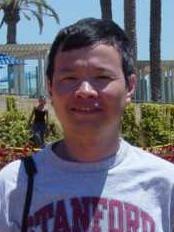 He worked as postdoc in Zhejiang University from 2005 to 2007. He spent one year in the University of California, Merced of US as a visiting scholar since Dec 2012. His research focuses on stochastic vibration and control. Dr. Lin is currently an associate professor of Civil Engineering and Architecture School, Xiamen University of Technology.